Reunite with the definitive indie band at the mighty Civic. Adored for their shimmering songwriting and evocative alt-rock style ever since their acclaimed breakthrough LP Transatlanticism in 2003, Seattle icons Death Cab for Cutie have returned triumphantly with a stellar new studio album, Thank You for Today, and along with it a sound that's sweeter and more emotionally engaging than ever. Nominated for eight Grammy Awards, including Best Rock Album for 2015's Kintsugi, frontman Ben Gibbard and the band's rise from underground darlings to powerhouse hit makers helped define the head-turning indie music scene of the '00s - and along with it, the soundtrack of an entire generation. 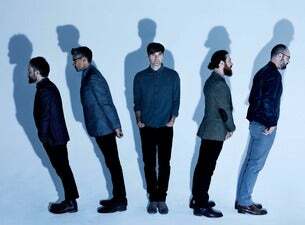 Last seen in New Zealand in 2016, Death Cab for Cutie will bring a deep catalogue of brilliant new songs and greatest hits to The Civic stage for one night only.